Possibly my fave eva dinner! 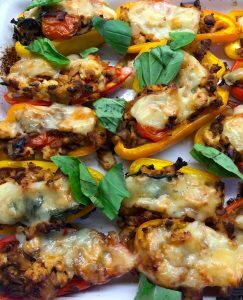 perfect to prepare ahead for Bonfire night, so easy!!!!!!! It’s great because you can do all the preparation the day before, then simply pop on the pastry top, bang it in the oven and you have a perfect family favourite dinner in 30 minutes. I use shop bought shortcrust pastry for speed. However of course you can make your own pastry. This pie is also great with puff pastry if you prefer? For me it challenges a roast, really it does! 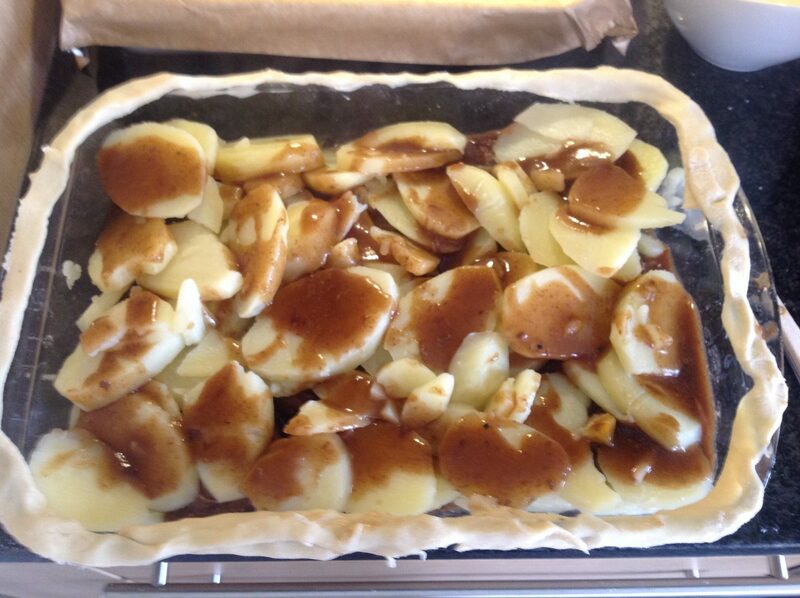 I love this pie so much it’s such comfort food on a cold day and reminds me of mum. And the gravy! Oh the gravy, simply stunning, meaty and rich. 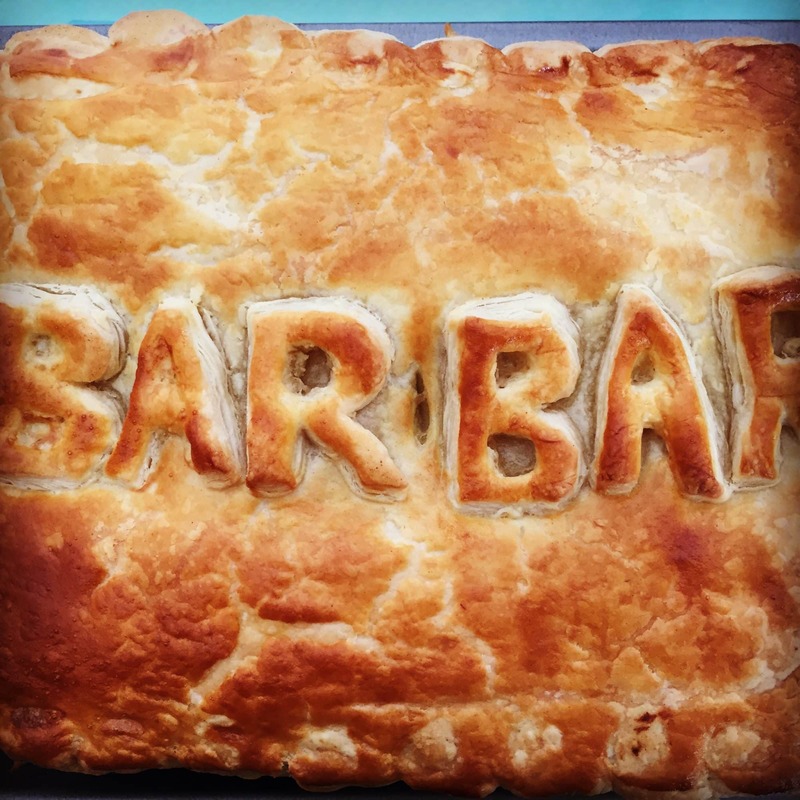 I think this delicious meat pie is best served with lots of lovely veg and away you go! The perfect family supper! 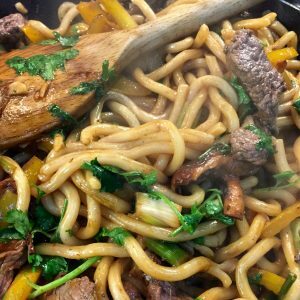 It is such a popular recipe on Easypeasylemonsqueezy and everyone raves about it! I have to say it’s one of my faves too! 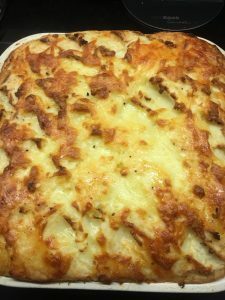 If you like this recipe I also think you might like my Shepard’s Pie recipe, it’s so good too! 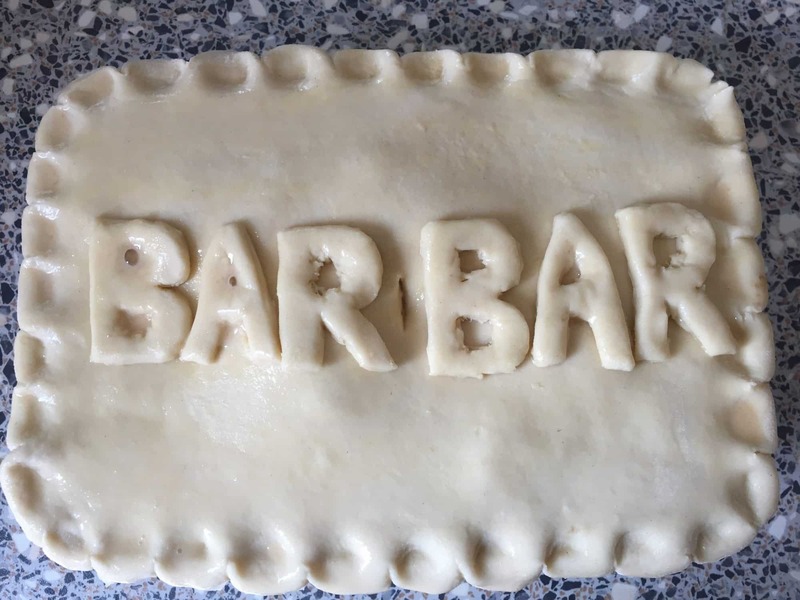 Please comment below if you make Bar Bars Easy Meat & Potato Pie! I would love to hear from you. Roll out pastry , trim a small strip from the edge and using water place / attach this thin piece all around edge of pie dish. Mmmm, this sounds like a really delicious, classic pie. I love the lettering on the top as well. I've finally got there! slow, long and low that's the trick with cooking the meat and voila you have a fab pie that everyone loves!